Well friends, it's been a crazy couple weeks. The kind of week where you realize you have worn your hair in a messy bun for three days and you take it out only to find a small birds nest on the crown of your head which takes you 10 minutes to comb out kind of week. So now that I have painted this lovely image of myself for you lets talk about Mother's Day. 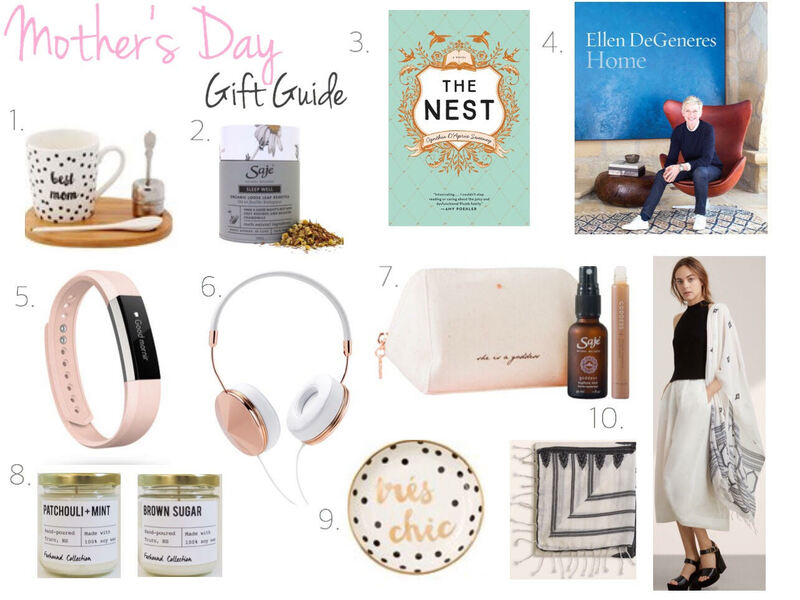 It's right around the corner so naturally I thought I would kick off this week with a fun Mother's Day gift guide. I feel like all of these gifts would be loved/appreciated by any momma out there however, it's totally not necessary to give gifts, but it certainly is a lovely thought! The idea of curling up with a good book, a hot beverage in a pretty mug and a little time to myself is exactly what this momma is looking forward to. Being a mother has been the most wonderful, challenging yet rewarding thing I have ever done, but I feel like it is definitely important to take some time for yourself so that you are able to be the best version of yourself- the version that is able to brush their hair and maybe even throw in a curl or two (I know, I'm ambitious). So on that note, I hope you guys have a lovely start to the week and that this gift guide gives you some ideas for the mommas in your life!